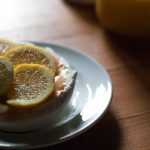 Healthy snacking doesn’t mean you have to miss out on delicious food. 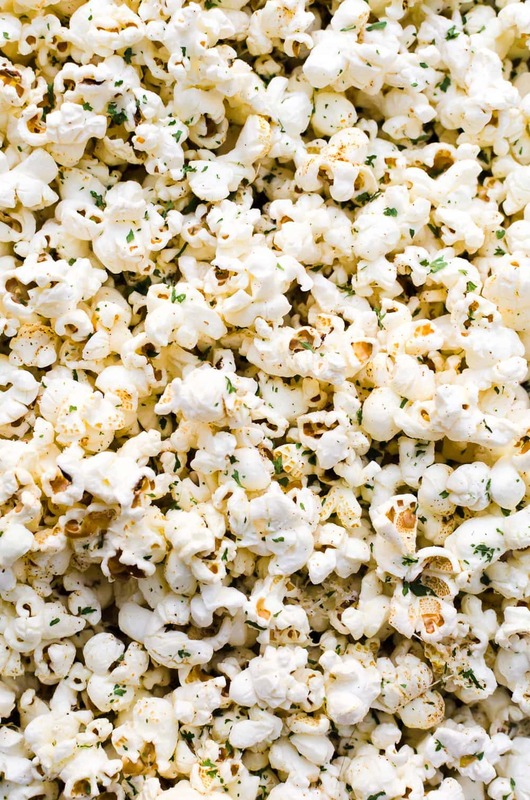 This garlic parmesan popcorn is packed with all your favorite flavors in a guilt-free bite. This post is sponsored by LesserEvil Popcorn. All thoughts and opinions are my own. Popcorn is one of my favorite snacks. I prefer it over most snacks out there. It tends to get a bad rap because of all the junk put into microwave popcorn. I would instead make my own popcorn on the stove so I would know exactly what was in my popcorn and ensure it still maintained its health integrity. 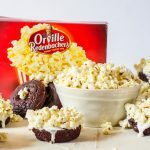 I am so glad that these days, it is easier to find healthier popcorn options like LesserEvil when I don’t want, or have the time, to make my own. I love how mindful they are about creating a better-for-you snack that is still delicious. While I generally love plain, lightly salted popcorn, sometimes I crave something a little different. So, that’s when I get a little creative. This garlic parmesan popcorn is one of my favorites varieties that I make. 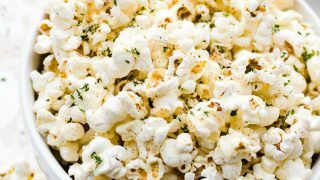 I’ve been making this garlic parmesan popcorn for several years now. I got the idea from my father who always added butter and garlic to his popcorn. I wanted to lighten it up a bit to help keep with those New Year goals so instead of butter, we use just a touch more coconut oil, and I add fresh parmesan, parsley, and a hint of cayenne for a bigger punch in flavor. 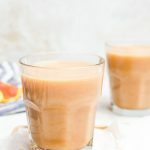 The result is a totally irresistible snack that has a ton of flavor, but is still better for you. There really isn’t anything better than that! What’s perfect is that the recipe is enough to share with everyone, but if you can’t, you can simply save the bag and use a clip to keep the popcorn fresh until you are ready to dig in again. Pro tip: gently shake up the popcorn bag to mix up the seasoning again before serving again! 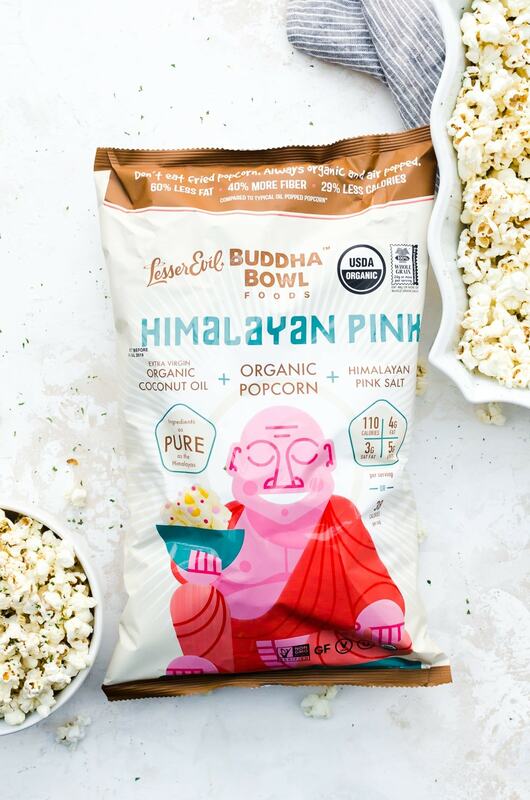 Go grab some LesserEvil Buddha Bowl Himalayan Pink popcorn, and get to snacking! 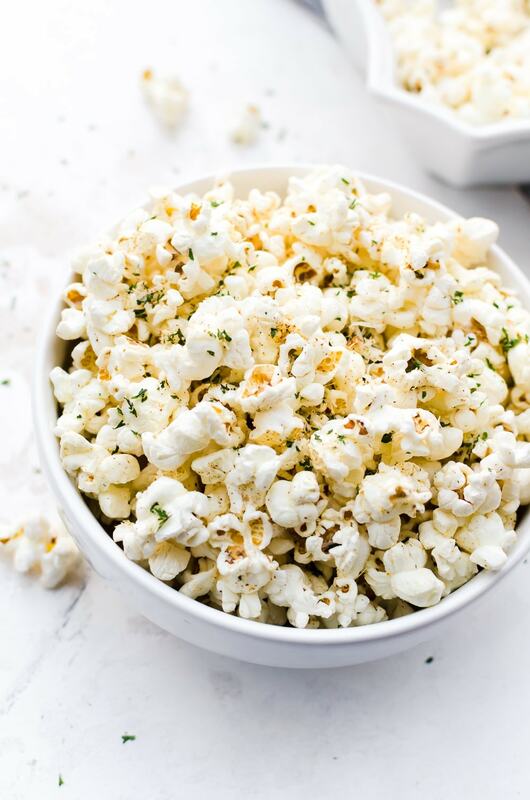 This garlic parmesan popcorn will be your favorite go-to snack for movie night! Lightly coat the popcorn in the oil. Then toss with the remaining ingredients. Place the popcorn on a baking sheet (you may need to split among two baking sheets.